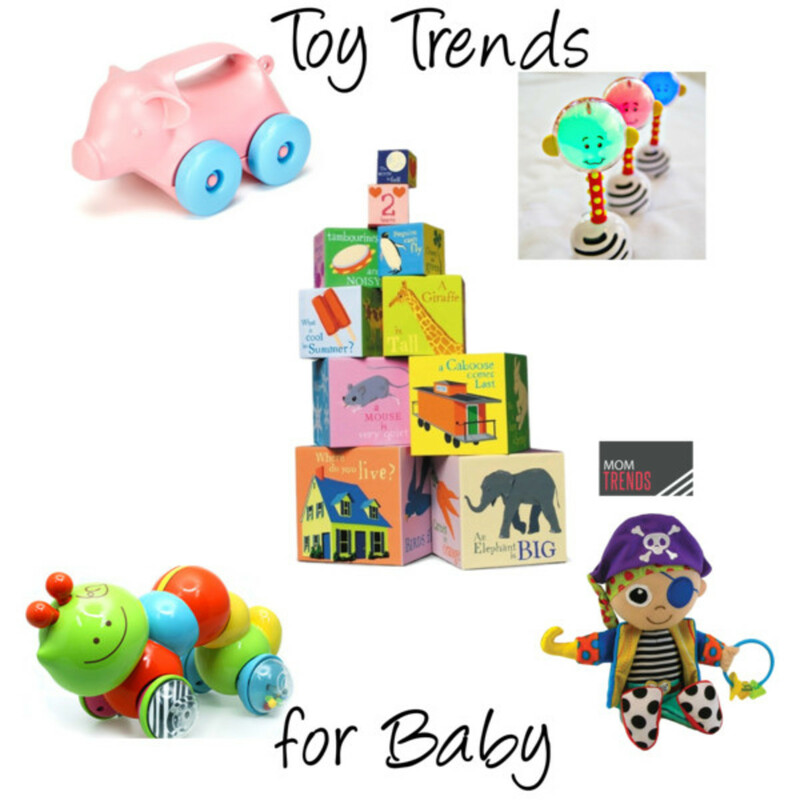 We have settled in to the new school year, and welcomed fall and now it is time to check out what is new to the toy scene. Below you&apos;ll find some of my fav fall trends for the littles. 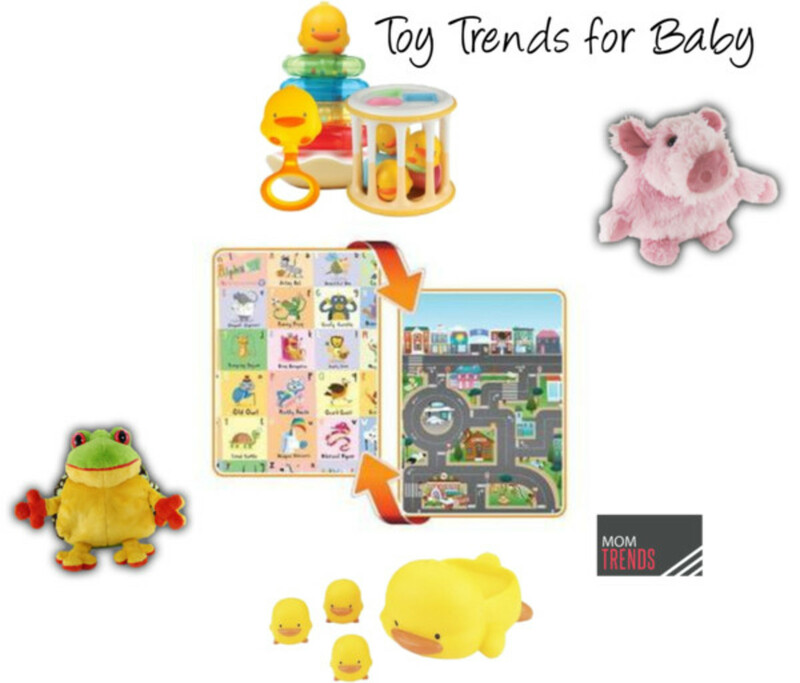 B Kids: If you want to hear your little one coo and giggle all while encouraging their hand eye coordination and crawling technique, check out the colorful, Press&apos;n Play Zoom Zoom Buggyfriend from B Kids. eeboo- eeboo has an amazing array of quality games, blocks, toys and everything in between. We love the touch of whimsy, durable construction and creative spirit behind this line of unique educational toys for children. One of our favs includes the Read to Me Tot- Tower. Green Toys: Babies love to push and pull and the Animals-on-Wheels are just the thing to delight them. We love that we can use this push toy from Green Toys in the bath, in the sandbox as well as in the playroom. With no sharp edges or metal in sight, this eco-friendly (made from 100% BPA recycled milk jug!) rollers is perfect for encouraging hours of imaginative play. Noogin&apos;Stik: Your babe will shake, rattle and squeal with this innovative rattle from Noogin&apos;Stik. Not only does it light up when baby shakes or bangs it, the NogginStik® Developmental Light-up Rattle offers a mirror, rattling sounds, developmental appropriate color schemes and textures to meet the needs of your growing baby. Lamaze: Ahoy maties! your little one will love the bright, fun loving Lamaze Yo Ho Horace Pirate Play & Grow equipped with a teether to soothe aching gums. Lamaze has a wide variety of toys for children of all ages, with a keen eye set to every stage of your child&apos;s development. Little Giraffe: For the most darling gifts, stuffed toys and luxurious blankets, you need to visit Little Giraffe. We all know elephants bring joy and good fortune and this plush Little E will not disappoint. To make tummy time, stroller time or a game of peek-a-boo a cuddly, soft experience, you&apos;ll have a hard time letting go of one of Little Giraffe Dolce Knit Blanky blankets. We think it makes the most delicious "woobie" to make baby feel secure and snuggly. Mamas and Papas: Well known for its great gear for babes, Mamas and Papas also makes the most adorable toys for your little tot. 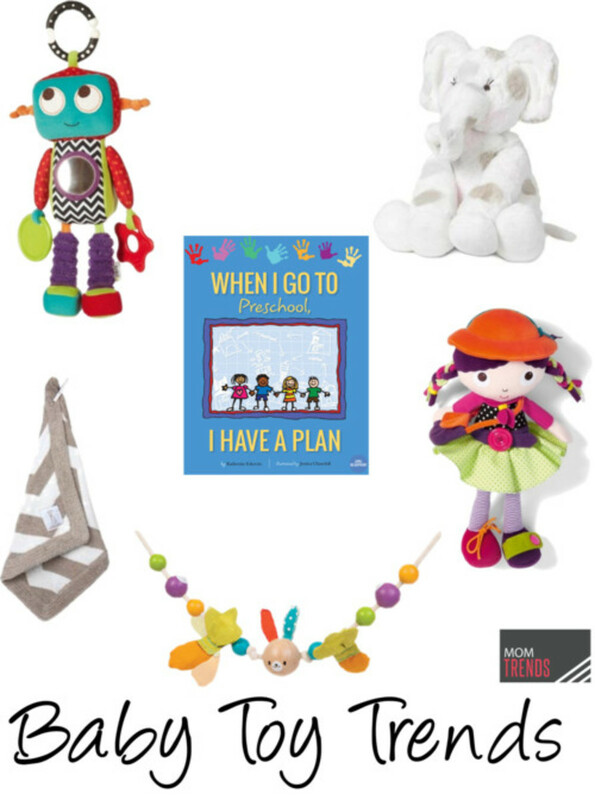 One of our favs includes Klank the Robot (love the larger size!, easy for baby to cuddle!) who boasts chimes, crinkles, mirrors and teethers. Another fav.? to promote dexterity, and fine motor skill development, we love the Learn to Dress doll. Adorable, educational and completely lovable, your little one will learn to dress in no time. Plan toys: For quality, engaging hardwood toys, we love Plan Toys. Not only are these toys held to the highest safety standards, they are created with their impact on the environment in mind. We love the interesting creatures, bright (SAFE!) colors, and toys that always have supporting developmentally appropriate play at the forefront. Piyo Piyo: For a wide variety of fun toys for baby, Piyo Piyo has it all. Whether you&apos;re looking for squishy bath toys, or softly colored shape sorters, Piyo Piyo, named for the beloved little yellow duck, has a toy that is just right for your baby. Pop Out Pets-New to the scene and ridiculously adorable are the fun, innovative plush toys from Pop-Out Pets. Each pet is three pets in one. Not only do the children love creating scenes with the multiple animals-in-one pets, they get a chance to understand how they can make a change by taking care of the animals and our planet. Pop Out Pets are cuddly, educational and really engaging for kids of all ages. Prince Lionheart: Children love to have a space to call their own. Now parents and kids can both be happy with the play anywhere, adorable reversible Play Mat PLus by Prince Lionheart. Love that we can wipe it clean, roll it up for storage or simply move it (so lightweight!) to keep the family action all in one place. Momtrends was not compensated for this post. Samples were received and this post may contain affiliate links.